There are errors and then there are errors. This one may be one of the best ones so far in terms of its uniqueness. 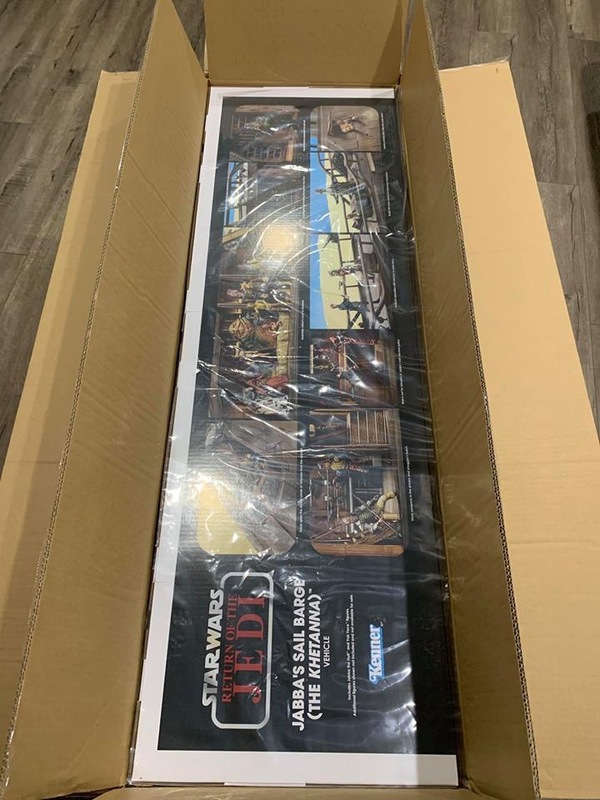 Collector William M. from the We Backed the Barge Facebook group posted this amazing sample featuring the exclusive Yak Face affixed to the card, bubble and all, upside down. Congrats, that’s a keeper! The first barge orders have started to arrive to collectors. Frank L. posted a few shots on Facebook but one of note has already sparked some discussion. There is no styrofoam corners in inside the box to prevent the Barge’s gorgeous box from damage. I suspect a few horror stories will be shared as a result of this. 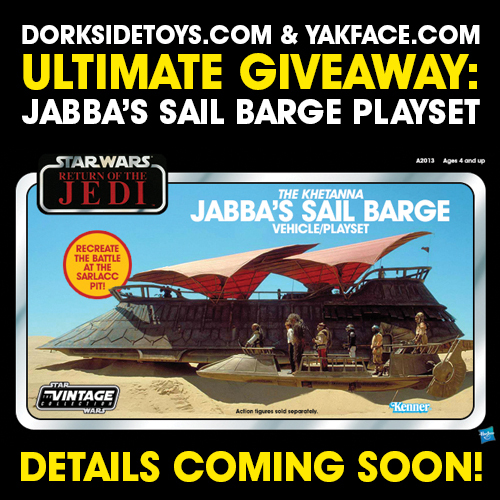 Hasbro has started the FedEx label creation process for the HasLab Jabba’s Sail Barge. If you’re signed up for the FedEx Delivery Manager service, you will soon receive an email notification (if you haven’t already) that a label has been created for your barge(s) and are being prepared for shipment. I just got off the phone with Hasbro. Bottom line, even though I have not received a notice about my sail barge, I found out mine is scheduled to be delivered tomorrow. They are having communication issues with Fed-Ex. I recommend folks who have not received notice should call Hasbro and confirm their order @ 1-800-408-0052.